Earth Day is April 22 every year. It's fun to do different activities associated with creating awareness about caring for the planet. We only have one planet and we all have to share it, right? The possibilities are endless: volunteering, doing a Billion Acts of Green, push for earth-friendly legislation and much more. 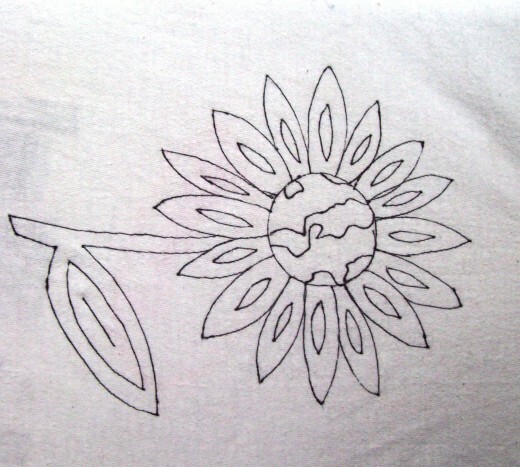 But, you can get even more creative and design your own Earth Day T-Shirt! Everyone will see your support and you might inspire someone else to become interested, too. 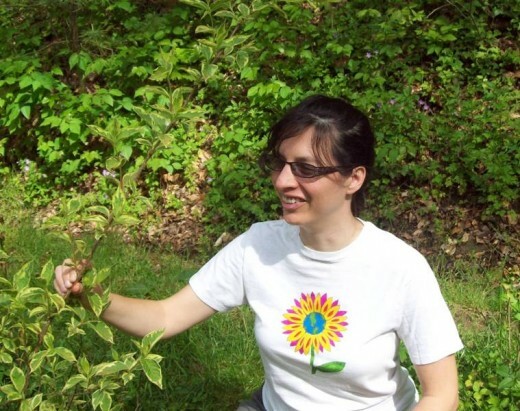 When I created my Earth Day t-shirt, I looked for ways to make it that were sustainable. I found the white t-shirt at another family member's house. It was in the Goodwill pile. I began by sketching ideas into my sketchbook. 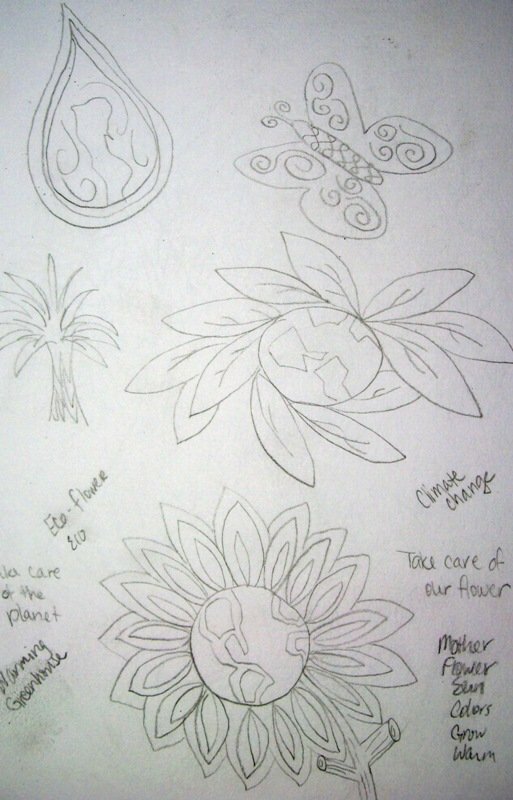 I sometimes write different words down to help get the creative juices flowing: earth, flowers, trees, leaves, etc. I came up with several sketches. I created the image in pencil. When I knew that this was the image I wanted to use - it just "felt" right - I began to color it in. As an optional step, you can erase the pencil marks when you have finished. When you're drawing and later coloring with marker, you can go back and erase pencil sketches, as long as they are light marks in the first place. When you sketch your images, draw lightly so it's possible to erase pencil marks after you have finished. When I created a sketch that I really liked - it just "felt" right - I used my permanent markers to color it in. I took my clean t-shirt and pinned it to my bulletin board using the tacks. 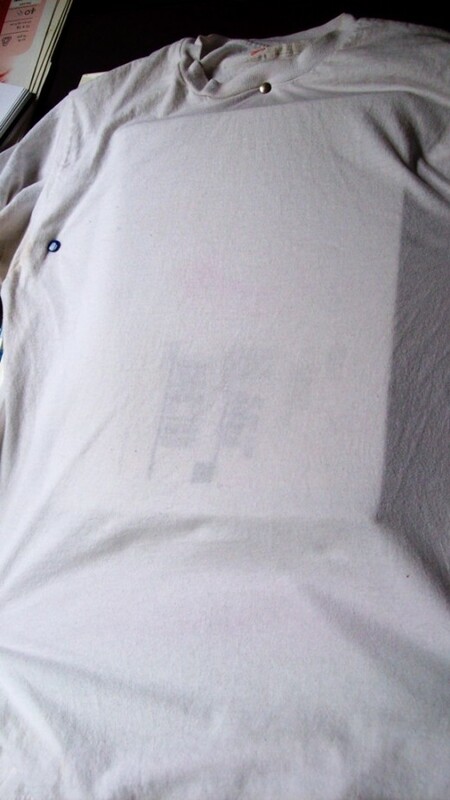 I slid a piece of cardboard between the front and back of the shirt so that the marker wouldn't bleed through to the back. I used the same permanent markers that I did for the drawing in my sketchbook. 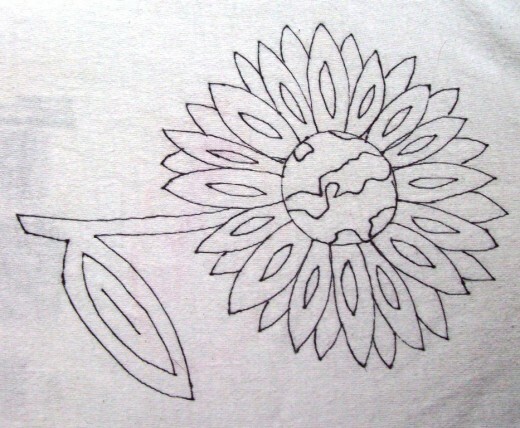 On the t-shirt, I began with drawing the center of the image. It is the round shape of the earth. 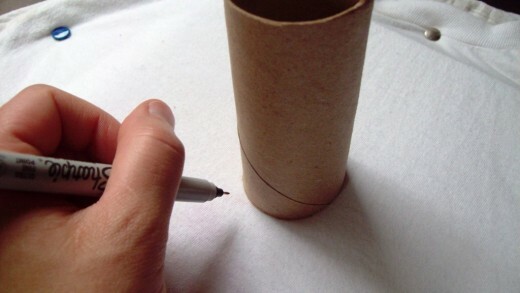 To get a good round shape, I used a toilet paper roll to trace. 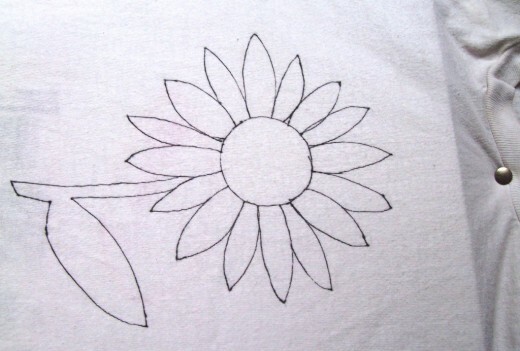 If you have a steady hand, however, you can draw a circle using freehand. You need to draw the image in pen or marker. 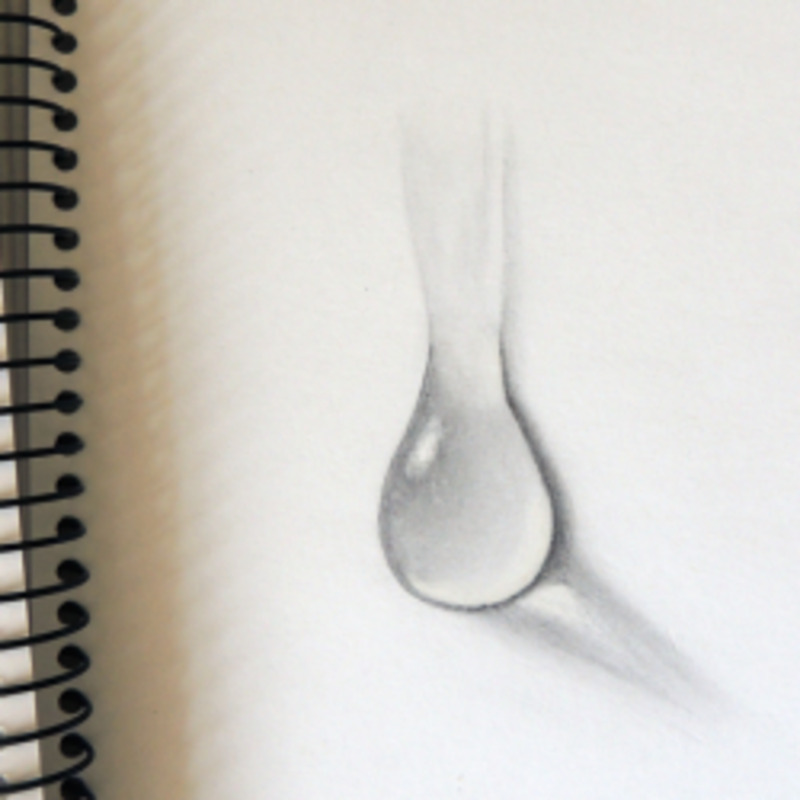 If you use pencil first, it will be hard to see and you can't really "erase" the marks later. It can be a little scary drawing the image knowing you don't want to make a mistake. 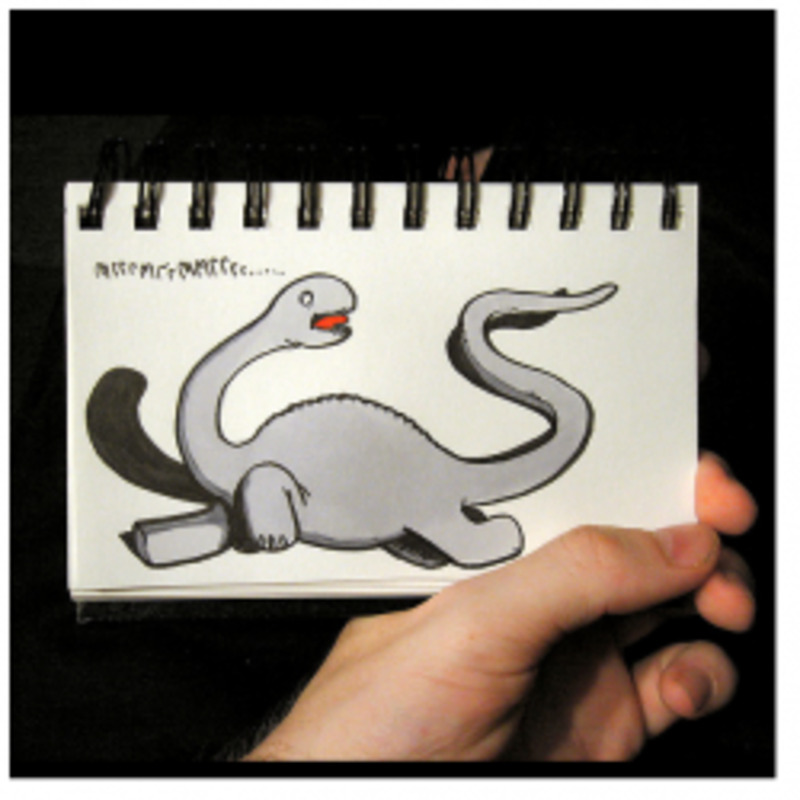 However, you already sketched the image out in the sketchbook. You can now be confident as to what marks you're going to make. Draw in the continents. Follow with the stem and leaf. 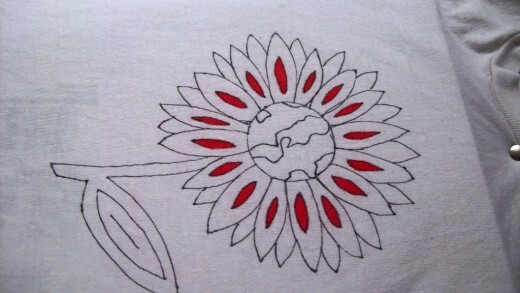 As you start coloring the image in, use your other hand to hold the fabric in place. Even though the t-shirt is pinned down, you still need to help keep the fabric from stretching too much when you're trying to work on it. Use short strokes as you color in the shapes and different areas. The markers won't dry out that way. You can use fabric markers, but I didn't have any on hand. I just used what I had: my permanent markers. Every so often, switch to a different color to give the markers a rest. That way, you can help prevent the markers from drying out. Cotton tends to absorb moisture and you want to conserve the moisture in the markers as much as possible. Admire your work once you're finished. You can wear your shirt immediately. 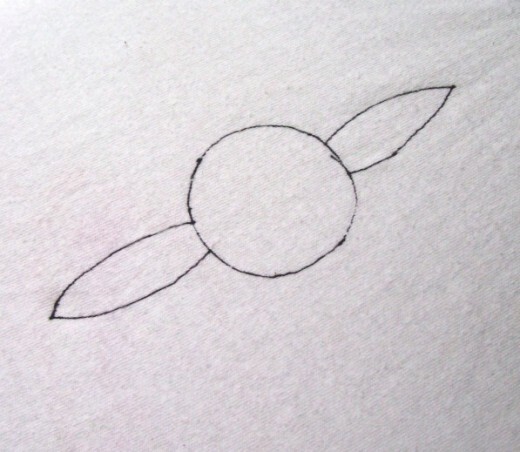 You'll also want to put the shirt on high heat in the dryer for about 30 minutes to set the marker "stain." I used Sharpies, but fabric markers might be fun to use, as well. When you want to wash the shirt, hand wash in cold water to help prevent any kind of fading. 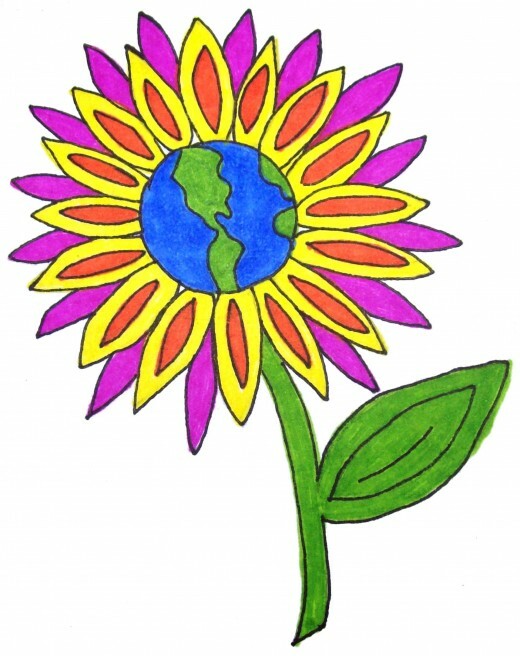 Will You Make an Earth Day Craft? Nice hub! Showing appreciation for all this planet has and continues to give us is important. In addition, there are several organizations accepting volunteers. This is a great opportunity to get involved at another level...while sporting your newly designed custom Earth Day attire. Voted up! You have so many talents :D You're smart, a great writer AND you can make shirts! I love your design too. You should market it. What a great hub and thanks for sharing this one. I am going to try it out and will let you know how I get on. 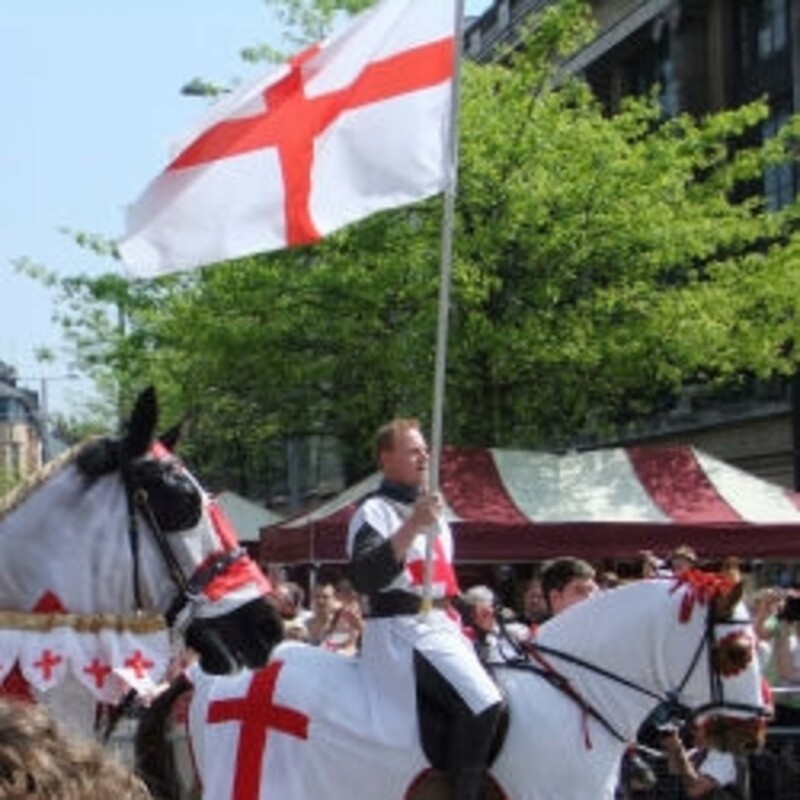 Great idea and artisitic too. Loved your sketches, voted up and creatively beautiful. Hi there, Kelly. :) Thank you for stopping by and offering your insights. 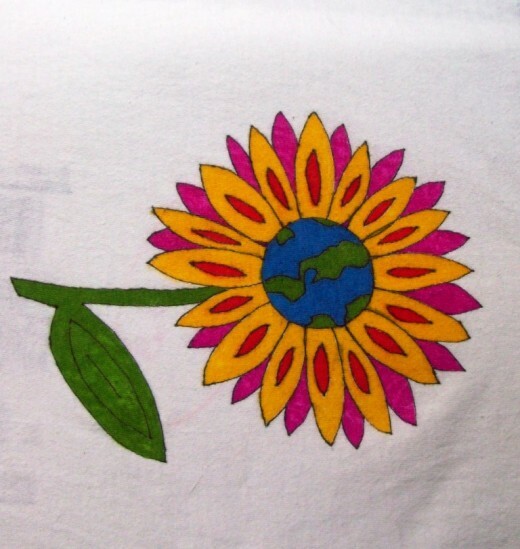 I had lots of fun doing the drawings for this; I even wore this shirt for Earth Day. :D Thanks again, (HUGS). Great idea for Earth Day! 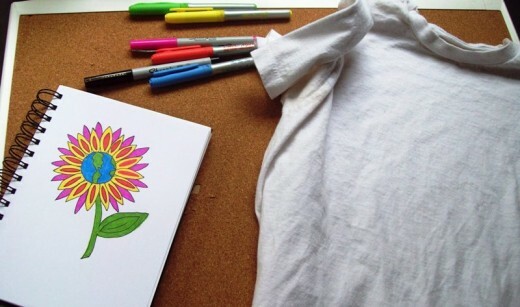 I never thought about using permanent markers on fabric, but this is a great way to use materials you have on hand to create a nice shirt. Kids would love this, too! Voted up and pinned! What a great way to celebrate earth day. 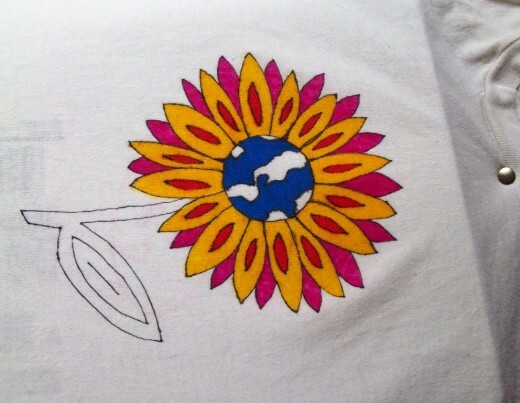 Do permanent markers stay on the shirt as well as fabric markers? Voting this Up and Useful. I wasn't going to read any hubs today but saw the title of this one and decided to stop by; wonderful idea Cyndi; love your picture. 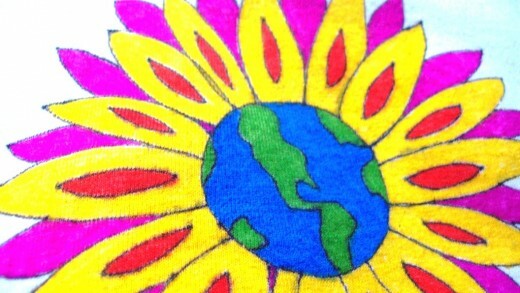 Have a great Earth Day my friend and thank you for your support and friendship. Your design is remarkable, and as are the other sketches. You have a good eye for artistic details. Love the finished T shirt. 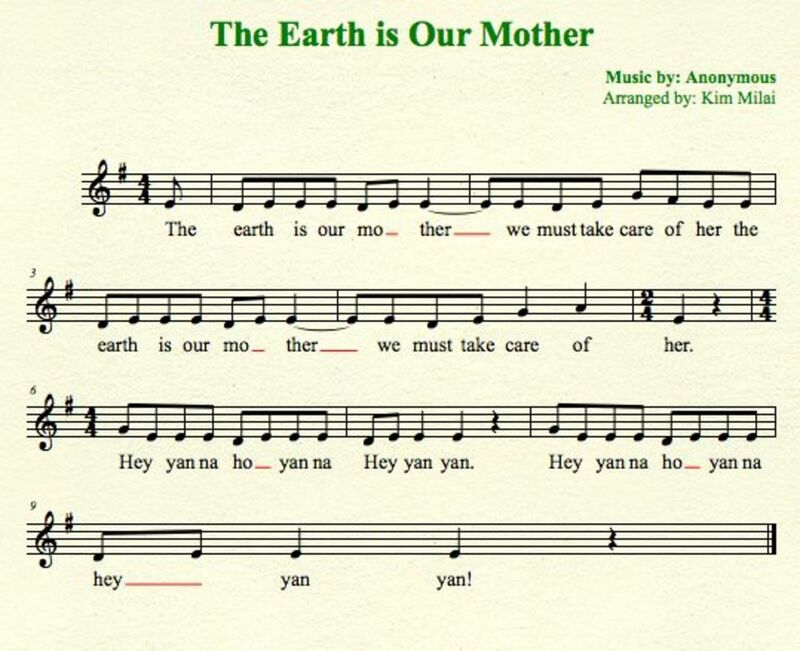 It does seem simple to make and this is a great idea for teachers this Earth Day. Voted up!